Providing decent shelter for people experiencing homelessness is both a political and practical challenge. Most Angelenos avoid the area, if they can; it’s a typical example of how homelessness can fester out of sight and out of mind. 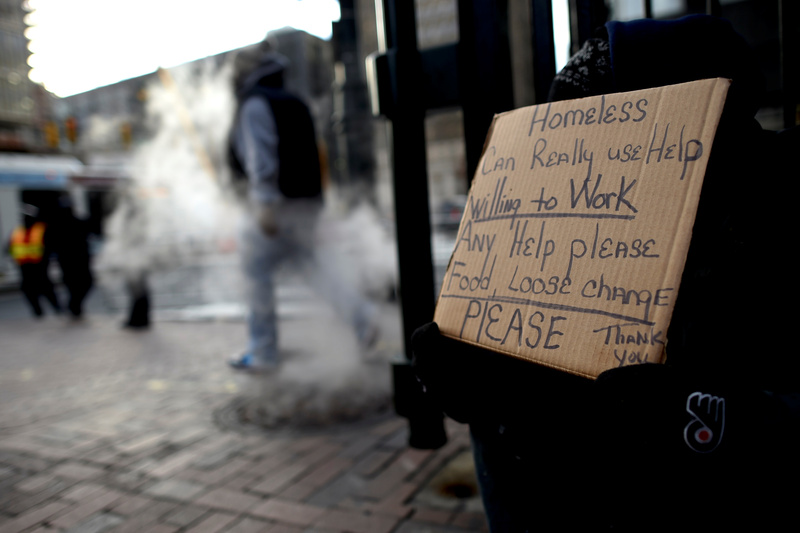 Properly sheltering the homeless presents a mix of logistical and political challenges. In many cities, NIMBY residents block efforts to build supportive services nearby, concentrating those living in homelessness in dangerous and squalid conditions under highways and in under-populated areas. When shelters are built, they can be far from where people need them and are often plagued by crime, to the point that many people regularly voluntarily forfeit the opportunity to spend the night there. One possible way around those barriers––design that utilizes cheap, easily-duplicated, pod-based living. University of Southern California’s Homes for Hope is on the front lines of this idea. Originally a class project funded by Madworkshop, architecture students and their professors have created prototypes of tiny housing pods that can be produced for $25,000 (or less) a pop. By involving the Skid Row Housing Trust and city officials, they’ve created an efficient, simple model that can be easily assembled and moved around. Although sturdy, these prefabricated housing units are designed to be transported on the back of an 18-wheeler truck. That means they can be re-sited in the face of potential zoning challenges (or neighborhood pushback). Each unit comes in at about 92 square feet, with a rounded, protruding wall on one side designed to reduce space taken up by the foundation, while increasing usable area. Los Angeles’s onerous building codes make other solutions challenging––a complex web of bureaucracy and required permits forces many housing projects to take a long time. By sidestepping the technical categorization as a homeless shelter, this “congregant housing” development, which would consist of a maximum of 30 pods in a given area, would likely incur fewer zoning issues and regulatory burdens compared to a typical homeless shelter. Other cities are exploring similar ideas. In Seattle, the Compass Crossing pilot project is beginning to receive funding and media attention. Their proposed modular steel buildings are advertised as cheaper to buy and faster to build than many housing alternatives, all compliant with city code. The San Francisco project MicroPADS is approaching the Bay Area’s pernicious homelessness problem in a similar way. These pods are slightly larger than those created by Homes for Hope, running at about 160 square feet, and are built in China before being shipped to the U.S. Further south in Orange County, American Family Housing has converted shipping containers into housing pods for homeless veterans. Each unit is more than 400 square feet, and the whole 16-unit project took less than five months to complete. Another San Francisco development, Mission Bay South Block 9, is attempting to build 120 studio units for the homeless and soliciting proposals from multiple nonprofits to do so. The city is planning to devote a 50,000 square foot lot to the project. Each studio should be between 350 and 400 square feet, upon completion, a welcome departure from the traditional dormitory-style homeless shelter model. These prefab modular housing units have the added benefit of serving as aesthetically pleasing alternatives to shelters, making them more palatable to NIMBY neighbors. Since zoning regulations often hold development up and decisions about homeless shelter locations tend to be rife with controversy, design should be used to make community living arrangements that can better blend in with surroundings: When shelters look more like a modern apartment complex, it’s harder for antagonistic neighbors to complain. In fact, pod-based communities could even be constructed for temporary trial runs, given the ease of disassembly. It’s not a perfect solution. These projects can be more costly than the average homeless shelters. But they can also foster a greater sense of privacy and autonomy for residents, giving them a better chance to get back on their feet. Many city governments and private developers have already proven that they’re interested in committing the time and resources to finding better solutions––design might be a big part of the answer going forward. Liz Wolfe is managing editor of Young Voices. She writes on criminal justice, homelessness, and libertarianism from Austin, Texas.